When TDmonthly Magazine interviewed retailers in August 2014 about their best-selling collectibles, we learned that licensed toys featuring Star Wars, Frozen, and Thomas the Tank Engine were all popular. 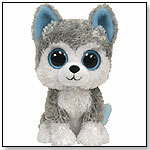 Not into licensed toys? Collectible figures like PAPO Knights and Calico Critters from INTERNATIONAL PLAYTHINGS were popular too. You can learn more about these, and all of the Top-10 Most-Wanted Collectible toys, below. Lloyd, the golden ninja, has summoned the powerful Golden Dragon into an epic stand-off against Lord Garmadon's minions. Attach Lloyd onto the Golden Dragon and soar into battle. Avoid the launching catapult attacks with the huge extending wings. Fire the dragon sphere! 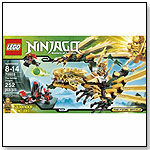 Harness the power of the Golden Dragon to send Lord Garmadon's soldiers back underground. Includes 3 minifigures with weapons: Golden Ninja Lloyd, scout and warrior. 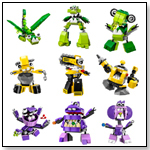 — Joe Berardoini Jr, owner of Pun's Toys in Bryn Mawr, Pa., told TDmonthly in a May 2013 survey that though they don't carry many licensed toys, LEGO Ninjago does well. 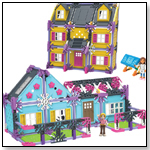 — In a Fall 2013 survey, 50% of retailers told TDmonthly that LEGO items were overall best-sellers at their stores. — In a August 2014 survey, Sunni, manager of Doodlehopper 4 Kids in Falls Church, Va., told TDmonthly that LEGO Ninjago is one of their best-selling lines of collectibles. POP! Thor 2 Dark World Vinyl Bobble Head by FUNKO INC.
Thomas & Friends™ Wooden Railway 5-in-1 Up and Around Set by FISHER-PRICE INC. This rural railway set has the classic Brio quality and features a barn with loading crane, farm engine with wagon, farm tractor with trailer, farm animals and hay bale. 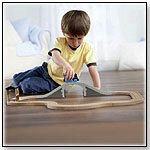 — In a February 2014 survey, two out of 10 retailers told TDmonthly that Brio Trains were among their best-selling wooden toys. 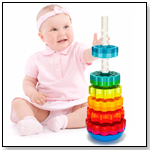 — Patti Tepper-Rasmussen, owner of Learning Tree Toys, Games & Books, Inc. in Oklahoma City, Ok., told TDmonthly in an August 2014 survey that Brio was one of the store's best-selling brand of collectibles. — In a February 2015 survey, Sue Hottel, co-owner of No Kidding (aka Sand Castle Toys Inc) in Mattapoisett, Mass., told TDmonthly that Brio trains are her some of her store's best-selling wooden toys.